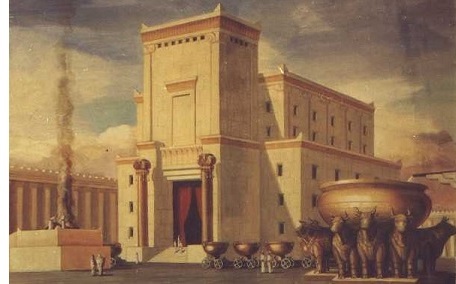 Solomon's Temple - King David had planned to build a temple to the Lord, but the Lord forbade it because David's reign had been marked by warfare. So he charged his son, Solomon, with the task. And, in fact, if you look closely at the timeline, you will notice the many conflicts on the chart during the reigns of both Saul and David. But during the reign of Solomon, he fought no major wars and it was a time of peace in Israel's history. It was during this time that the temple was built. Solomon's Temple is located on the world history timeline, and you can refer there for more information. *It is this number (480 years) that is frequently used to date the Exodus of the Hebrews out of Egypt. Not all historians subscribe to this date, however.